Join the smoker’s club – create huge trails of smoke and thick black lines of burnt rubber in your tracks! 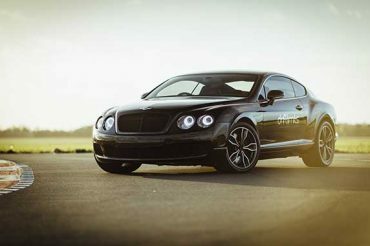 There’s a certain characteristic common among the members, an underlying tendency towards out and out lunacy and our specialist instructors (completely unhinged) will encourage you to explore this dark art of motorsport. The two different cars you will be driving have proven drift ability, becoming vehicles of choice for many drifters (our own staff included!). The entry level MX5’s are lightweight, nimble and precise – their short wheelbase gives them the snappy characteristics of the fabled Toyota AE86, their revvy low powered engines seem to long for redline abuse. They are the ideal start, basic modifications ensure good technique and rapid reactions are developed swiftly. Your first 8 laps will be dedicated to getting the car balanced in a drift – then keeping your foot matted. Step up to stage 2 for 8 laps in the more powerful, more aggressive Nissan 350z. 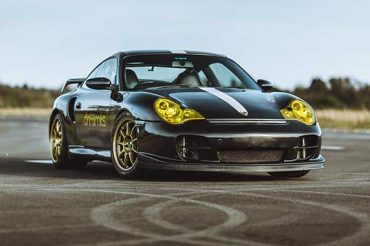 A 3.5 litre V6 has made this the weapon of choice in drifting, having been used competitively across the globe with a massive catalogue of bolt on modifications and upgrades. The additional grip and power will see your drifting develop huge powerslides and linking transitions. The back-to-back driving progression from Mazda to Nissan should cement your skills and complete your transformation from drift wannabe to drifter and help build an understanding of two very different handling cars. 30 Minute Introductory Brief: Covering drift lines, throttle / braking technique and trackday safety etiquette. 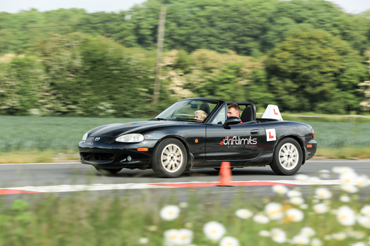 A total of 16 laps combined in the Mazda MX-5 and Nissan 350z with 1:1 tuition from our motorsport instruction team.